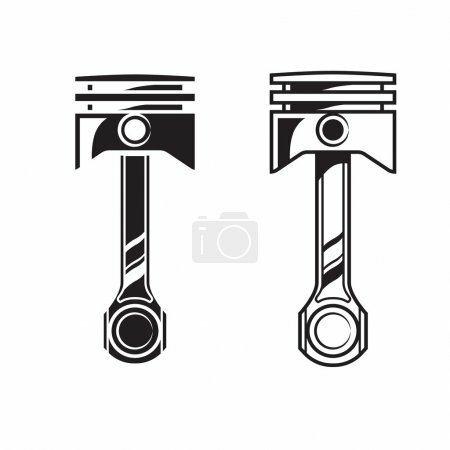 Car engine piston. Vector set isolated. Two variants.Color print on a white background.